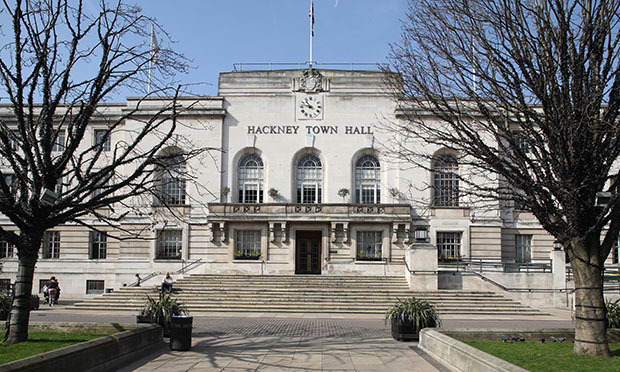 The Mayor of Hackney is under pressure from his local Labour party to take “urgent action” on the row over allegations of racism and discrimination within Hackney Council. Trade unions vowed to escalate their campaign in support of Natasha Johnson, a Town Hall employee at the centre of an acrimonious dispute over workplace bullying, whose dismissal was confirmed at appeal earlier this month. Notice of an independent review of the culture and practices at the council’s call centre, where Johnson worked, was given to Town Hall employees on 14 December, following an 18-page report claiming abusive comments and behaviour on the part of Town Hall staff being sent to Hackney councillors and union members. A spokesperson for Hackney South & Shoreditch constituency Labour party (CLP), which voted through a motion on Johnson’s case on 24 January, said: “As a local party we stand against all forms of bullying, harassment and discrimination and have been particularly troubled by the allegations of such behaviour made against managers in Hackney Council. “Members voted overwhelmingly to support the joint action by Hackney’s Unite, Unison and GMB branches calling for the reopening of the case into Natasha Johnson’s dismissal. Hackney Mayor Philip Glanville “absolutely refuted” the claims referenced in the CLP statement. The move by Hackney South & Shoreditch was hailed by Unite, which had previously slammed the allegations made against Johnson justifying her dismissal as “ridiculous”. Onay Kasab, regional officer for Unite, said: “The statement from Hackney Labour Party members will be welcomed by every one of our members facing bullying in the workplace. Unite says it “welcomes” the investigation with the intention of engaging fully with it, but continues to support Johnson’s case in order that she not become “collateral damage”. Hackney Mayor Philip Glanville said: “We absolutely refute these claims and I am disappointed that Unite continue to make these allegations without coming forward with new and additional evidence. “As I’ve said before, all forms of bullying, harassment and racism are unacceptable and, if such behaviours are found to be happening in the workplace at the council, they will not be tolerated and action will be taken in line with the council’s policies. “Separately, in agreement with the unions, an independent investigation is now underway and it’s important that we wait for the outcome of that report which we will publish. “Our work on inclusive recruitment, retention and leadership as well as wider equalities work is extensive and meaningful, with active trade union and staff involvement. “We have a Cabinet Member with direct responsibility for working with trade unions who like me is always open to discussions with them.